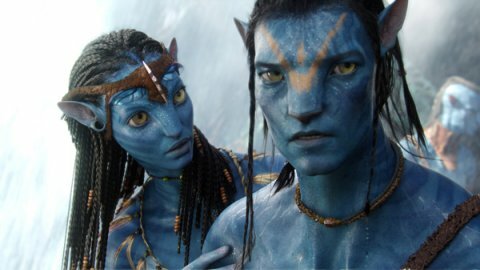 James Cameron’s Avatar sure is a feast for the eyes. 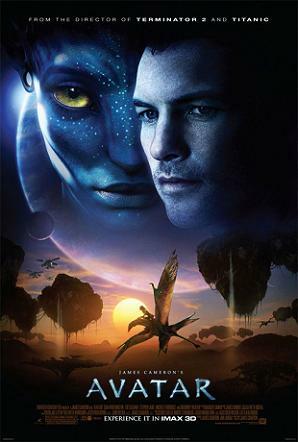 The film takes place on the faraway planet of Pandora, where paralyzed Marine Jake Sully (Sam Worthington) has come to infiltrate the tall, blue, powerful, and prideful residents using a genetically engineered Avatar. The tribe, called the Na’vi, are standing in the way of American industrialism, and a full-scale military operation — led by Stephen Lang’s gruff, buff, and tough general and Giovanni Ribisi’s slick, determined businessman — has been set up to get at the precious mineral that’s sitting just below where the Na’vi live. Cameron has created the world of Pandora completely from scratch, and, with the help of some high-tech 3D tools, it’s photorealistic, lush, and truly breathtaking. If only the film was more than just a visual treat. Granted, I’m not much of a science fiction fan, but I sat through much of Avatar wondering, who cares? I just wasn’t all that invested in the plot or the characters. And it didn’t help that Cameron is not the world’s most subtle filmmaker. He employs James Horner’s score throughout to orchestrate your emotions, the plot follows a rather predictable arc, the real-world metaphors are awfully heavy-handed, and some of the acting is kind of wooden (I’m talking about you, Sigourney Weaver). Oh, and peek-a-boo: “I see you” is not the classic line Cameron thinks it is. Despite all that, it can’t be emphasized enough what a great looking movie Avatar is. This one was made for a big screen, and it needs to be seen with 3D glasses on (it’s just the latest film this year to use the technology effectively to enhance the picture, not as a stunt). It took Cameron a dozen years to make another feature film after Titanic. If only he spent time on other things besides its aesthetic qualities. I’m giving Avatar a B–.